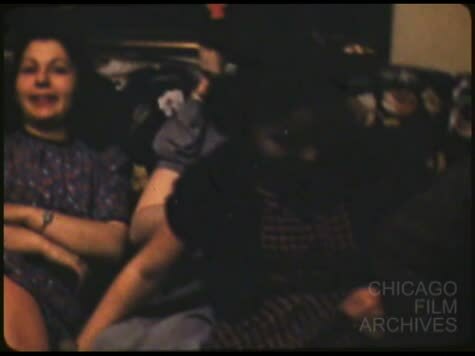 Home movie of a gathering in someone’s living room with groups purposely posing for the camera interspersed with activities such as dancing and piano playing. 00:00 - 02:16 - MCU of var people on a couch, man reading a newspaper. VS of women playing at a piano. A couple dancing. Var MS of different group formations laughing and smiling for the camera.